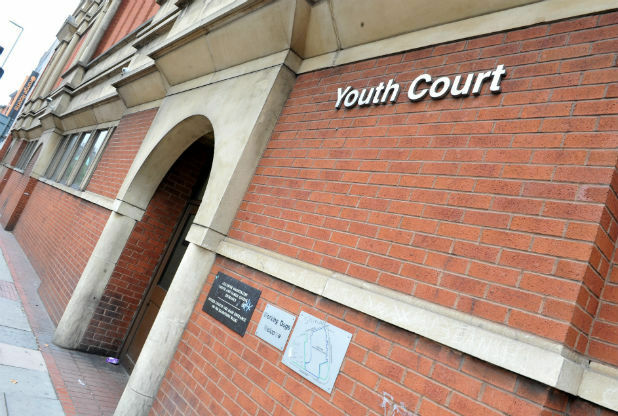 On a recent visit to the Youth Court with one of our young clients, Jon, I found it surprising how little information the Court had been provided about Jon’s brain injury and the life changing effects flowing from it. In particular, those reviewing Jon’s case and making a decision about Jon’s punishment, were not aware until recently that Jon had even sustained such a serious injury and had no information at all as to how the injury had lead him to be in the Court in the first place. A University of Exeter report1 states that 60% of youth offenders have suffered a brain injury. It was suggested by the All Party Penal Affairs Parliamentary Group2 that this could be due to the young person being unable to hold back their anger, responding inappropriately and not being able to de-escalate a situation which is getting out of control. This is a similar situation to the one Jon has found himself in. Jon suffered a traumatic brain injury, aged 11, when he was hit by a car whilst crossing the road on his way to school. Prior to his accident, Jon was a pleasant, well mannered boy with no behavioural issues. After the accident, Jon started to display bouts of aggressive and out of control behaviour which lead to him being arrested on several occasions for minor offences. Jon was also excluded from three mainstream schools. So, how can serious brain injury cause such problematic and anti-social behaviour? A University of Exeter report states that the human brain is not fully developed until the early or even mid 20’s, with “aspects such as impulse control and forward planning” being the last elements to fully form. As a result, children and teenagers are often prone to displaying reckless, short sighted and impulsive behaviours. The report goes on to say that a young brain is essentially a “work in progress” and is more vulnerable to taking risk, suffering problems with attention, concentration and mood management. A brain injury acquired during the childhood/adolescent stages of development, can essentially damage areas of the brain that have not had the opportunity to fully mature and develop. This can have a wide ranging effect on how the child/adolescent behaves, feels, thinks and expresses themselves. It is not unusual to find that a child with an acquired brain injury may struggle to cope with certain aspects of their everyday life, such as forming and maintaining relationships and how they are able to deal with situations or problems if they arise. It is difficult to say, with any certainty, how a brain injury will affect a young person until they begin to exhibit behaviours which appear to be at odds to their personality and character before the injury. An example of this change in personality or character may be a propensity towards criminal behaviour. The effect of the brain injury may have had a significant impact on the young person’s ability to perceive danger, their attitude to risk, their ability to concentrate, the way they respond to authority and their ability to empathise with others. A culmination of these factors can lead to a young person engaging in riskier or more confrontational behaviour, becoming more aggressive or violent or understanding the consequences of their actions. There was also a likelihood that the young person would suffer from mental health problems, drug and alcohol misuse and learning difficulties. As mentioned above, one of our clients, Jon who sustained a traumatic brain injury, aged 11, now continues to have regular contact with the police. Whilst Jon continues to try and control his behaviour, his impulsivity and inability to properly understand consequences, has eventually lead to frequent appearances at the Youth Magistrates Court, charged with minor offences. Jon has also been excluded from three mainstream schools and is not at high risk of being imprisoned if he re-offends. What is most distressing for both Jon and his mother is the fact that both the police and the schools failed to take into consideration that Jon’s behaviour was essentially being driven by his brain injury and not as a result of Jon being a stereotypically ‘naughty’ child. Currently, the institutions who are coming into contact with brain injured young people, are misunderstanding the nature of the problem. It is clear that more needs to be done to protect, rather than punish, those struggling to cope with the effects of a brain injury. As it stands there are failings in the current system which results in the impact of brain injuries being overlooked by the police and courts. This, in turn, is leading to young people being categorised as ‘criminals’, when in reality, they are unable to manage their own behaviour, because of their brain injury. As with Jon’s case, hundreds of young people are coming into contact with the justice system daily but there is little focus being given to the reasons behind their initial offending and subsequent re-offending. From our experience, one of the most worrying issues in Jon’s case was that the Court was not being fully made aware of the extent of Jon’s injury. As a result, it became necessary for us to intervene to ensure a pre-sentencing report was prepared. The report provided the court with vital information relating to Jon’s injury and the resulting personality and behavioural changes. In the interests of fair process and justice, it is imperative that more is done to ensure the Court is provided with as much information as possible relating to a child’s background and injury so that they are able to make an informed decision. The report also calls for much needed increased awareness from the criminal justice system when dealing with those with a brain injury. In particular, it was noted that brain injury history should be included in pre-sentencing reports and considered as a factor when making decisions/sentencing. It may be necessary to look at anger management strategies or restorative justice as alternatives to prison. Essentially, this is a call for understanding and compassion for those who have suffered brain injuries and are struggling to come to terms with its effects. It encourages a common sense approach to see the full picture behind why a young person may be behaving the way they do and a steer away from punishment being the only option on the table. If you or a loved one have suffered an injury as a result of someone else’s negligence or you are concerned about the treatment you have received, contact us free of charge and in confidence on 020 3773 9281 or at ChildBrainInjury@boltburdonkemp.co.uk for specialist legal advice. Alternatively, you can complete this form and one of the solicitors in the Child Brain Injury team will contact you.